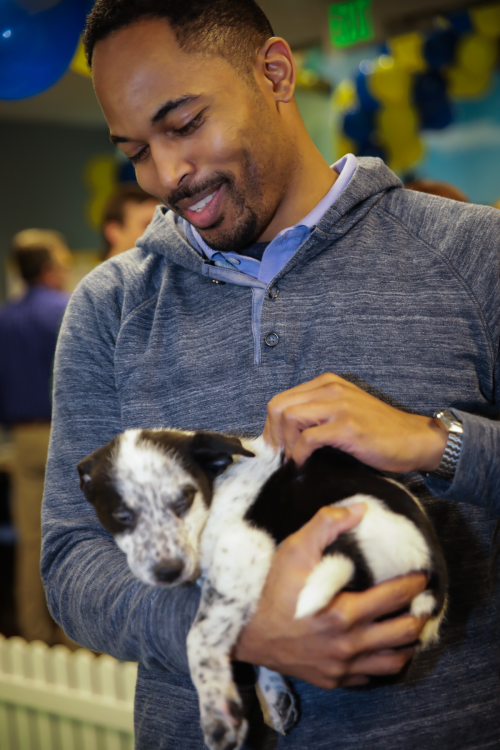 There’s nothing as great as snuggling a warm puppy…except knowing that puppy is finding a happy, forever home! 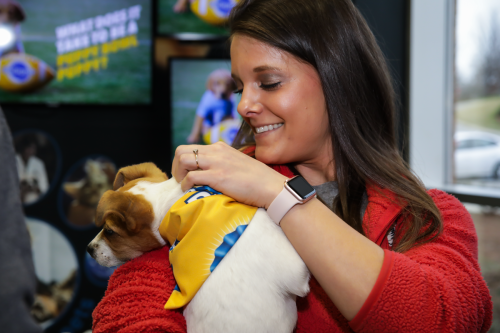 Yesterday at our U.S. headquarters in Franklin, Tennessee, Mars Petcare Associates enjoyed some serious puppy love at our second annual #PuppyBowl party. 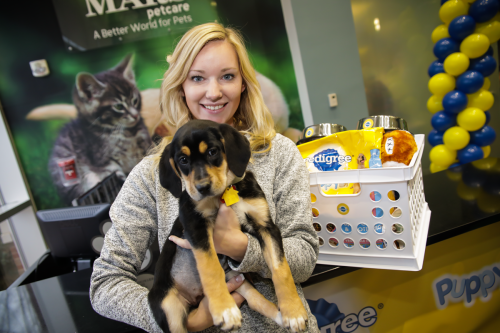 The event was held in advance of Animal Planet’s Puppy Bowl XIII, the canine competition that’s sponsored by our PEDIGREE® brand. In the Puppy Bowl, more than 75 adoptable puppies from shelters and rescues across the U.S. and Puerto Rico take part in adorable, action-packed play. They have a blast, and we hope viewers are inspired to consider adopting a puppy of their own. That’s a feeling mirrored here at home where, as a treat for Associates, the PEDIGREE® brand also sponsors our company #PuppyBowl party. It features food, fun and, of course, adoptable pups. This year, puppies came to our event from Nashville Humane Association, Maury County Animal Shelter and Agape Animal Rescue. 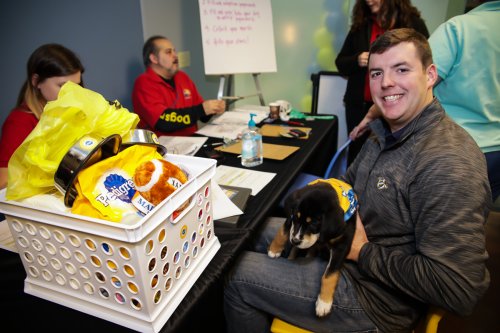 In 2016, 18 puppies were adopted by our #PuppyBowl party attendees, and we expect by the time the paperwork is finished, we’ll beat that number this year. 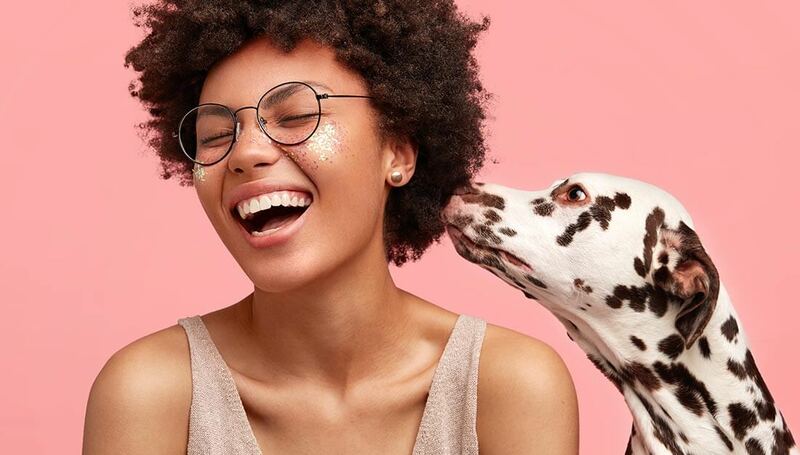 About 600 Mars Petcare Associates joined the fun, as did many of their pets, since we’re a pet-friendly office. It was a barking good time for all! Interested in a puppy of your own? 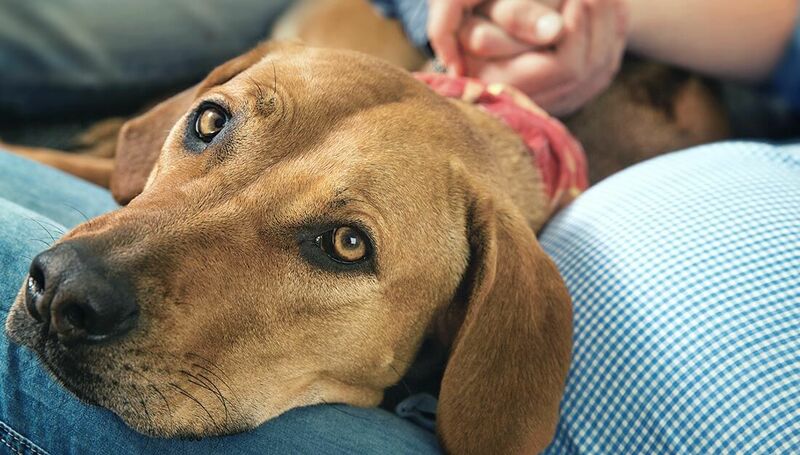 Check out this page from the PEDIGREE® brand to find adoptable dogs near you. 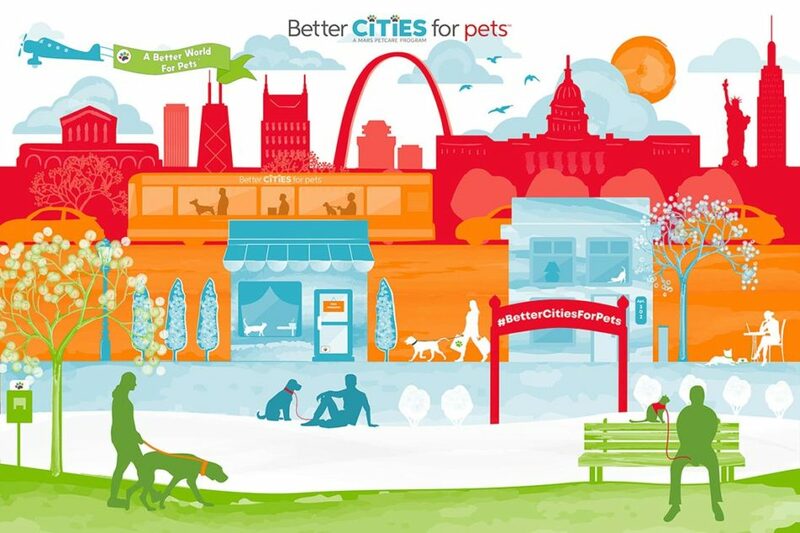 Want to help homeless pets? Thank you! Visit pedigreefoundation.org. And, be sure to tune in on Sunday for Puppy Bowl XIII. It premieres from 3:00 p.m. to 5:00 p.m. ET/12:00 p.m. to 2:00 p.m. PT on Sunday the 5th. Every single one of the dogs is a winner, including three from Williamson County Animal Center right here in our hometown.